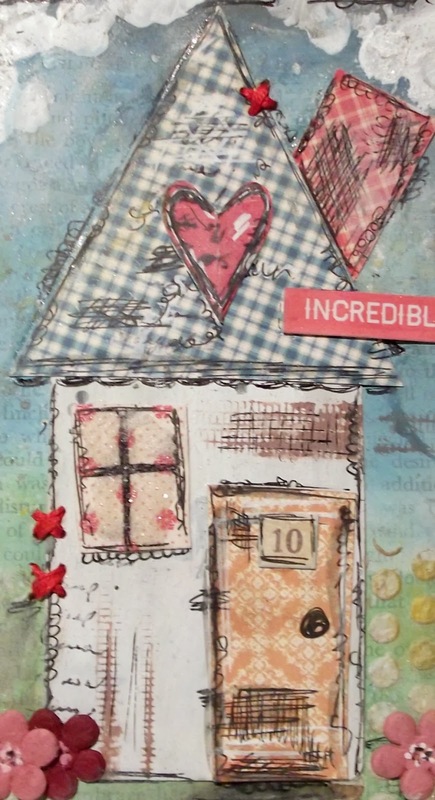 Eclectic Paperie: Love Is Incredible . . .
Hello sweet friends, Tracy here today and it feels so good to be back and sharing a little of my art with you all! Pssst you still have time to join in the fun! 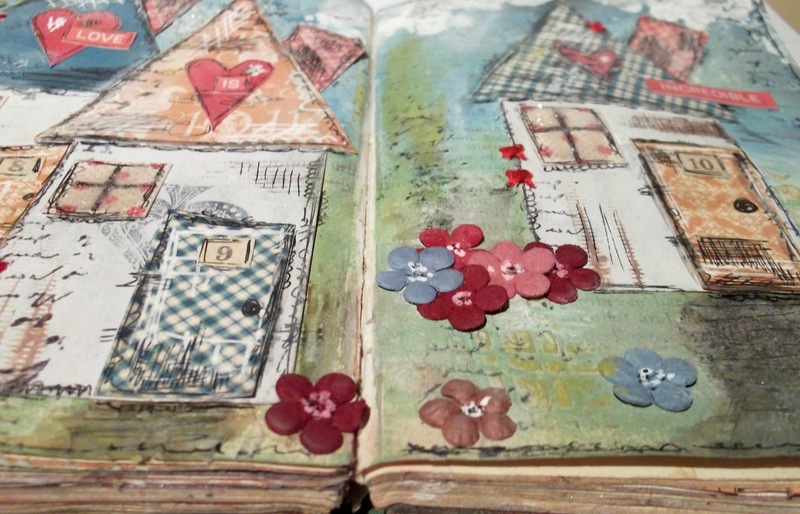 So time to get the old book out and create a journal page! 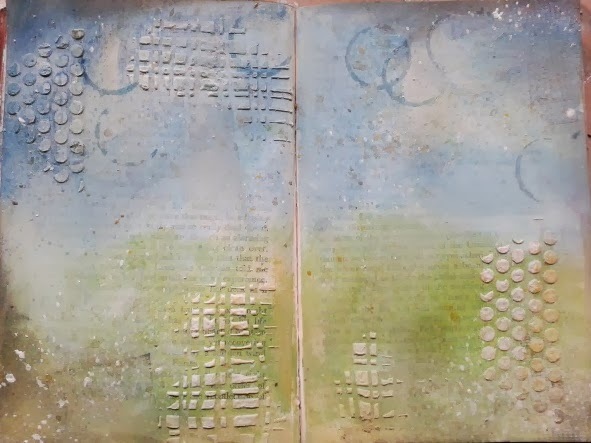 A quick coat of Gesso followed by some Stenciling and Paste, Distress Paints & Stains with a touch of Pan Pastels thrown in and it was ready to add the details. 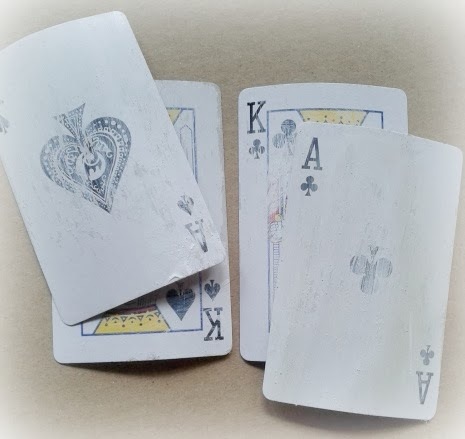 First up, preparing the playing cards, quick rub down with the sanding block followed by a splodge of Gesso. 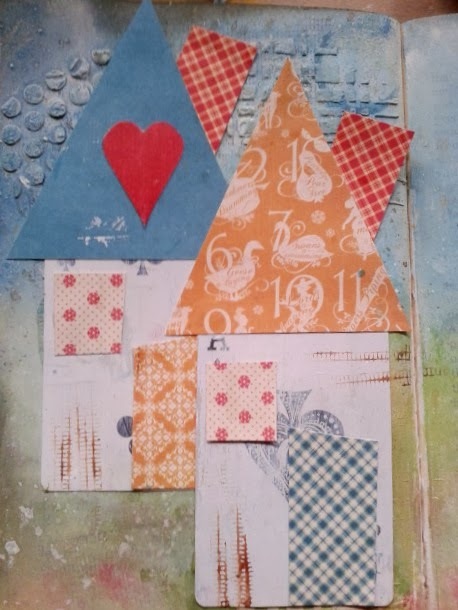 They make great little houses with the addition of some prrretty scraps of paper. Time to add some of my doodle doodle doo`s . . .
. . . and it started to look like this. See the swirling puffs of smoke from the chimneys . . . Gesso dabbed on with my fingers. Apologies in advance . . . 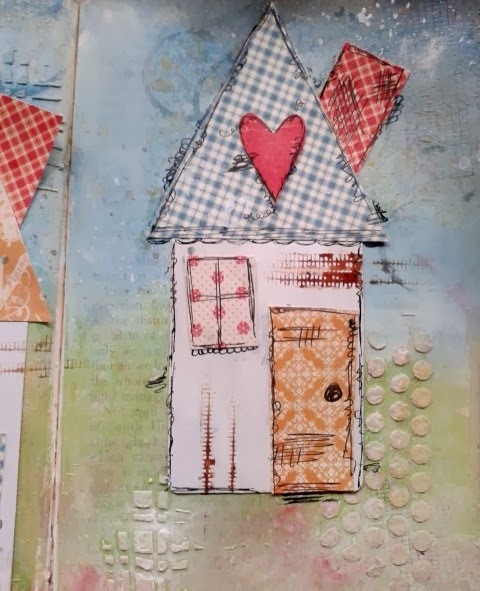 I got really carried away at this point and started to add more doodle doo`s, Paints, Stains, Stamps, more pretty scraps of paper, lace trim, flowers and Distress Rock Candy Glitter to the teeny tiny windows. I had some lovely red embroidery thread, so out came the needle to add a wee touch of stitching for that homespun feel. My boys are spreading there wings and starting to fly the nest, but one thing for is for sure . . .
wherever they may be part of my heart will always go with them! 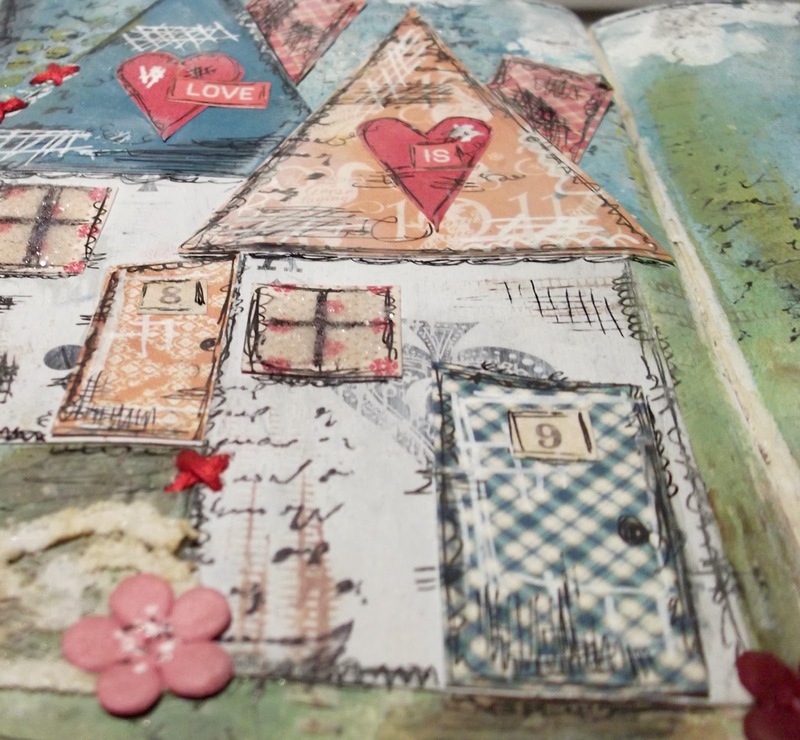 Well that`s all from me today, I hope you enjoyed having a look inside my old tatty book. Remember you still have time to get creative with playing cards! Oh wow this is just so creative. Hi this is incredible and nice with interesting stuffing of words keep readers interesting. You had made my day. I love this page. I've been wanting to do a house page, you may have just given me the gentle push I need. 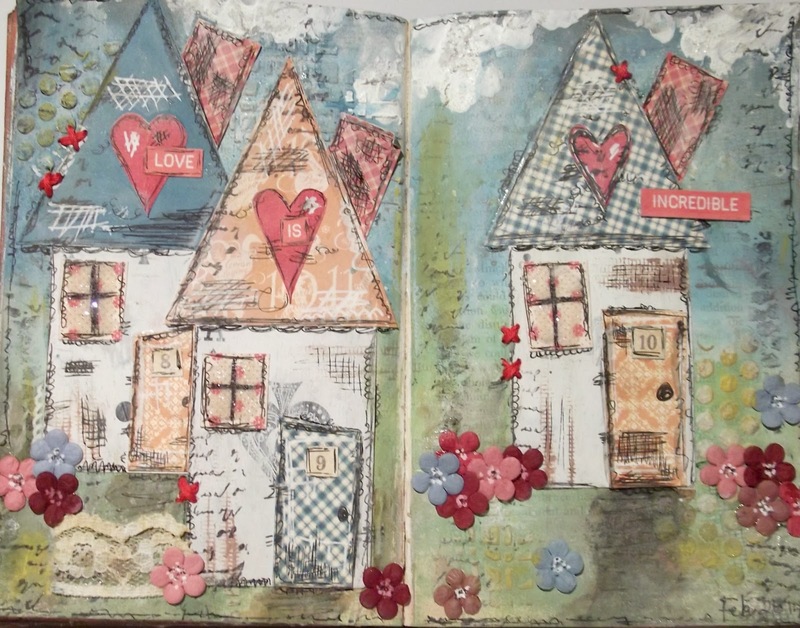 Stunning playing card houses, Tracy - I completely adore these pages!! love, love, love!! 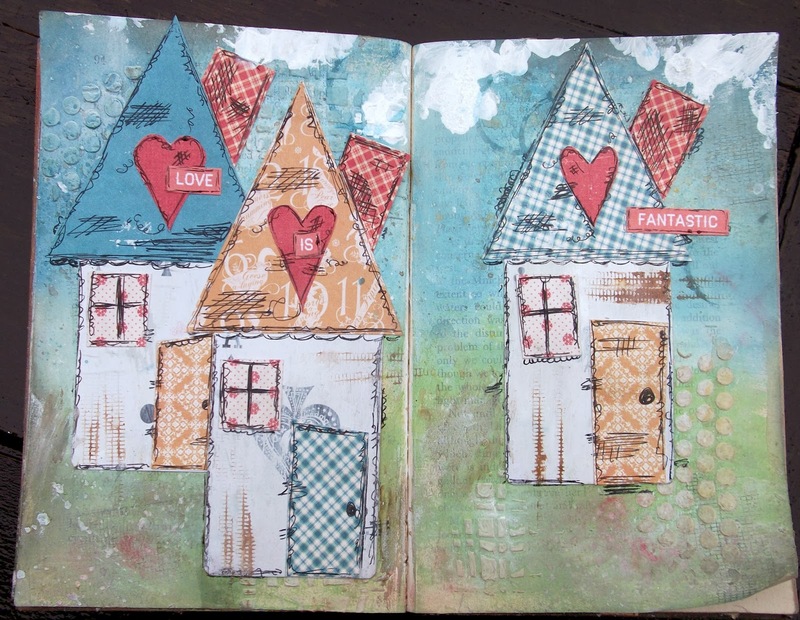 Your houses make me smile! Love how you used the cards as houses, great idea. Love your page. Hi Tracy, I love this, beautiful! Your houses are adorable Tracy. I just love each and every one. How you constantly transform one image into something different every time just blows my mind. You work is so warm and lovable. Your doodles are amazing! Love your work.